“The area real estate market is… strong enough to attract a number of potential investors and support a range of residential options." 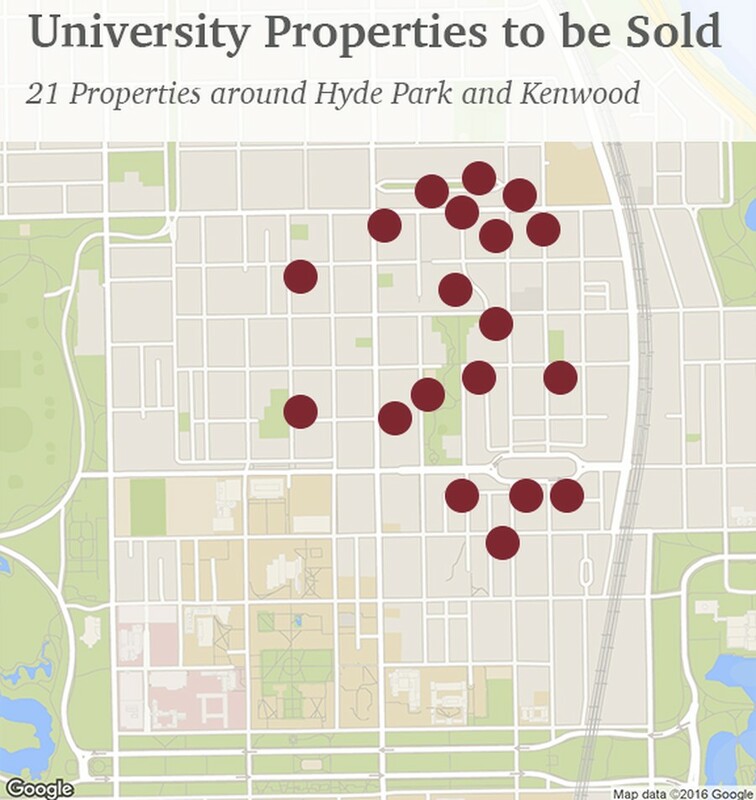 The University of Chicago recently made $70.1 million from selling 21 properties in Hyde Park, according to financial documents released on December 23. The documents revealed the previously unknown sale prices of two vacant lots and 19 residential buildings, which housed graduate students, faculty, and staff. This past October, the University announced the sale of the properties to the New York–based Pioneer Acquisitions, LLC, an investment company that also owns many buildings in the Lincoln Park neighborhood of Chicago. After the sale, UChicago will still retain more than half of its graduate student, faculty, and staff apartments in Hyde Park. All existing lease terms and rates for current residents of the buildings will remain the same. In the spring of 2015, the University also held town hall meetings with the residents of the 19 buildings to discuss the specific timelines of the transition and management changes. The University has also placed undergraduate dormitory buildings Broadview, Maclean, and Blackstone on the market. The sale continues the University's retreat from the Hyde Park real estate market.